Its been a while...I know....I know!!
" 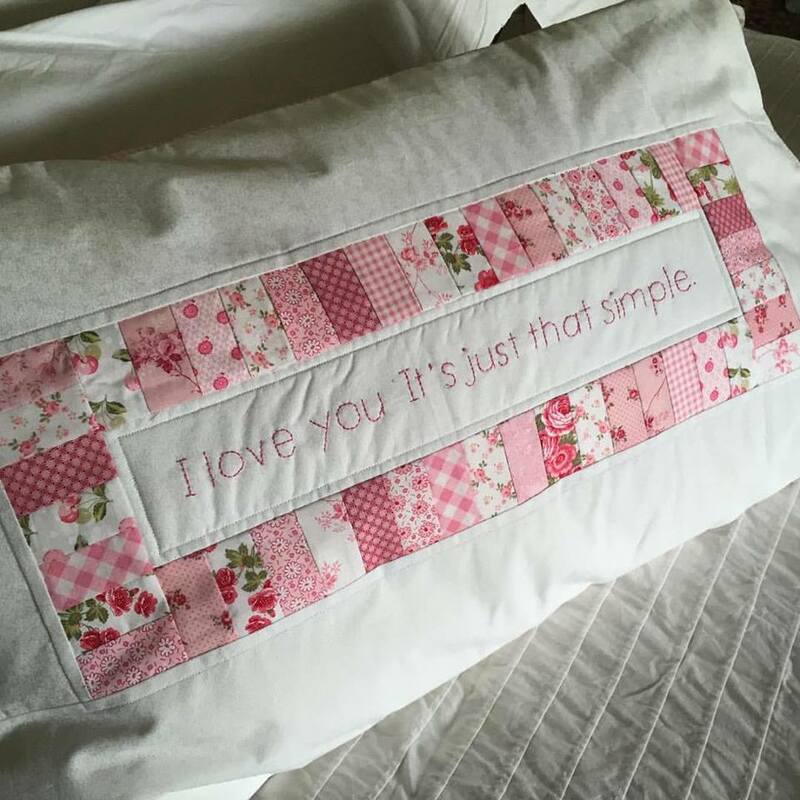 I LOVE YOU IT'S JUST THAT SIMPLE "
the lettering and just sewed some pink scraps together. Bella Garden. The amount of patience and time this quilt must take is mind blowing. I was very nervous quilting this quilt, because I knew how precious this quilt is. 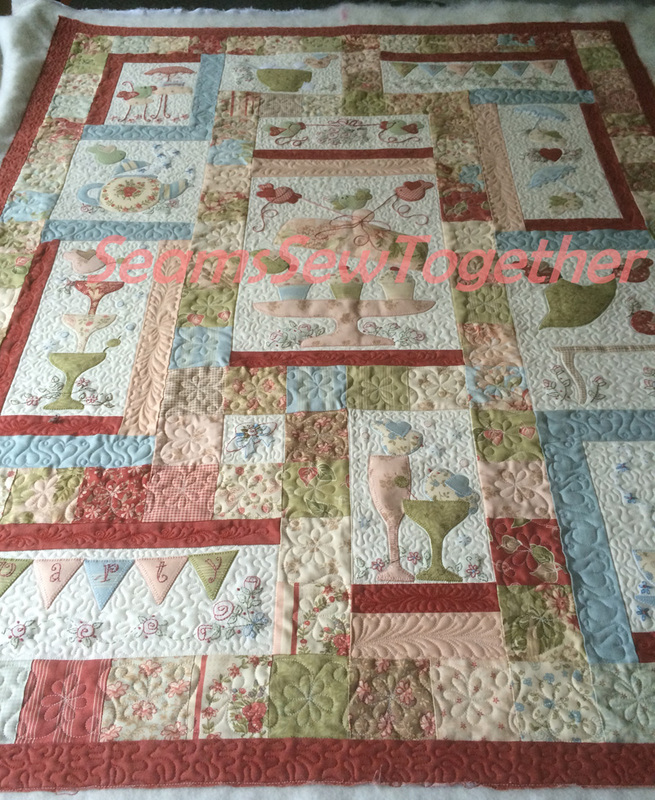 I started out with a plan for the centre piece and then as I was quilting it each section came to me. yes it took me a long time. 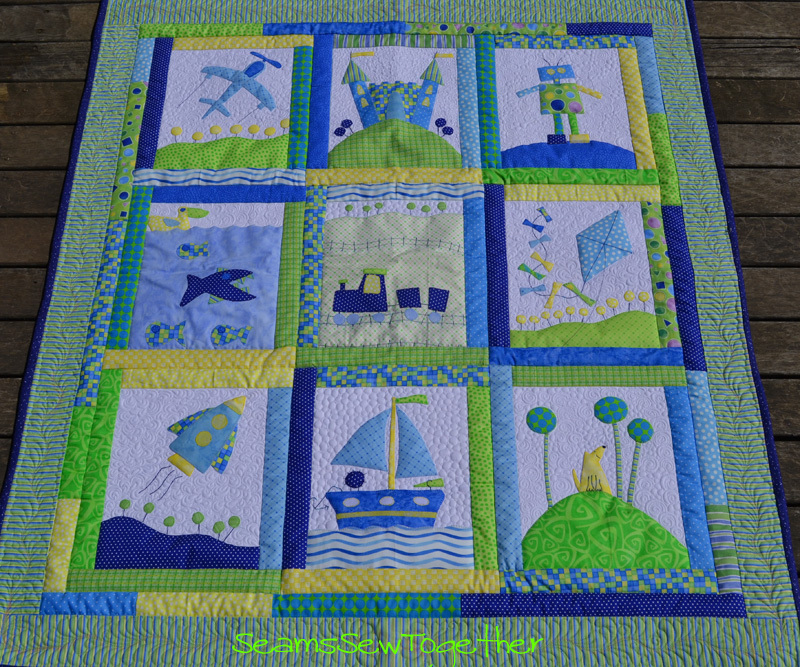 somewhere, I love the movement they give to a quilt. 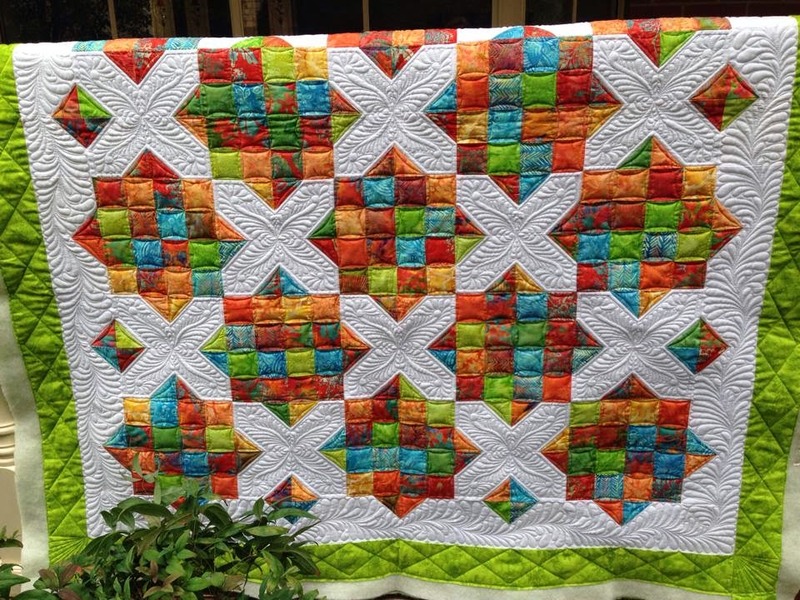 There was a lot of in the ditch on this quilt, but it was so worth it. it just adds to the finish. 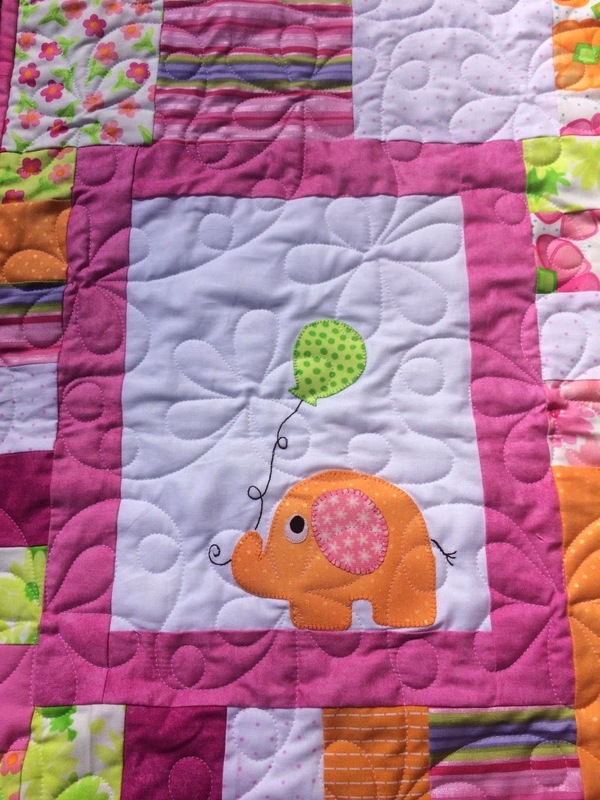 I'm sure she will be blogging about this and her journey with this quilt soon. my good friend Dawn. Its called Garden Tea Party. away from Dawns beautiful stitching. for her Mums 80th Birthday. fabulous birthday and enjoy your quilt. 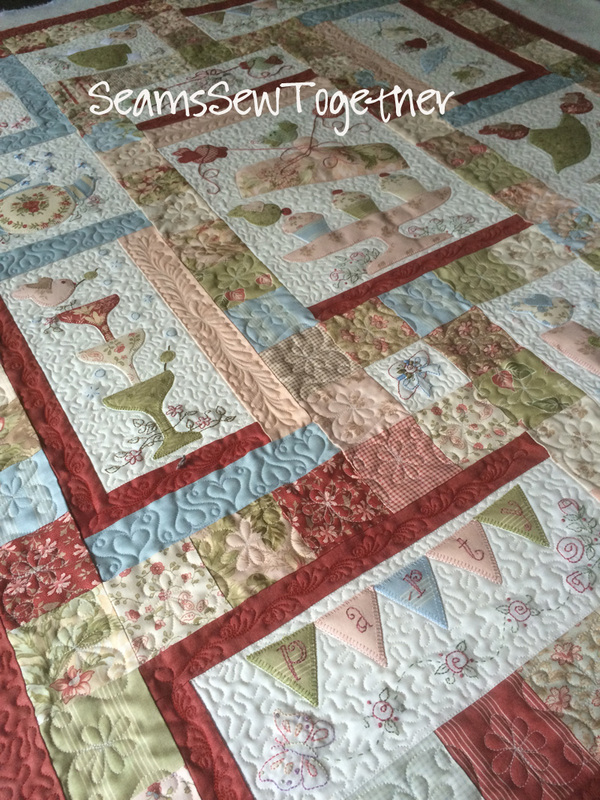 together, its not quite together yet but soon....ish!! so I am making one for me....... myself........and moir! for myself ever, so I have decided now is the time. Every girl deserves something pretty, right, so this will be mine. 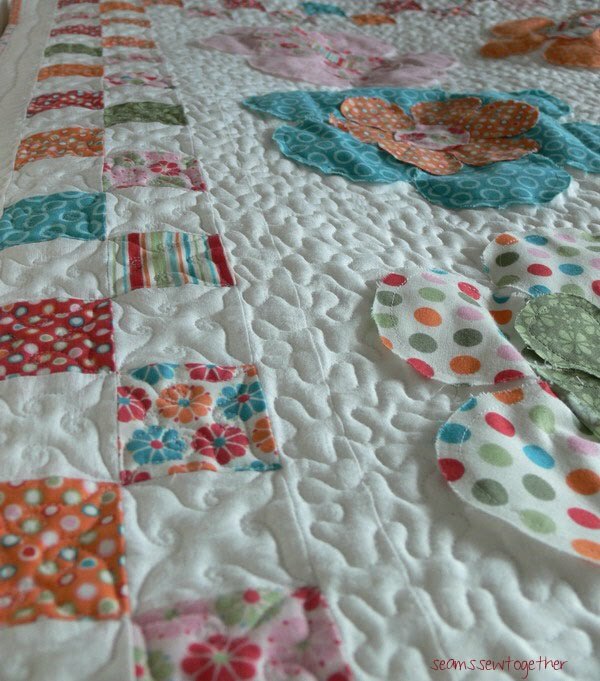 Hopefully soon I will have this quilted and ready to show you all. 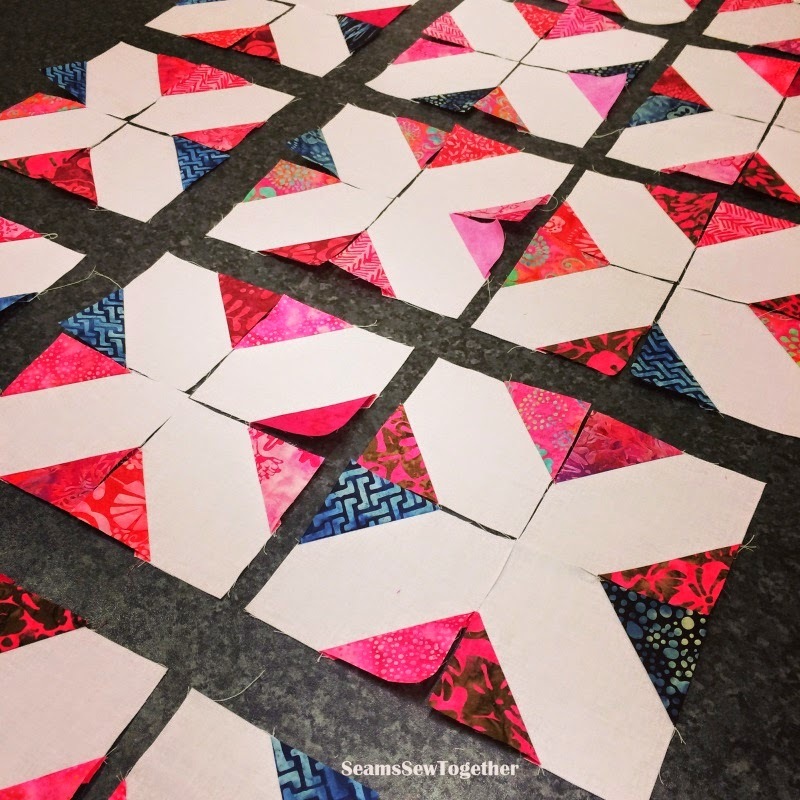 For those who don't know what this is, every Monday a blogger is invited to share with the blog world a little about themselves by answering four questions about their craft and then invite two/three of their blogger friends to continue the chain. 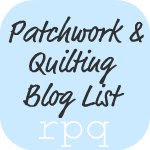 have a look around Dawn's Blog, you wont be disappointed. 2) How does my work differ from other of its genre? 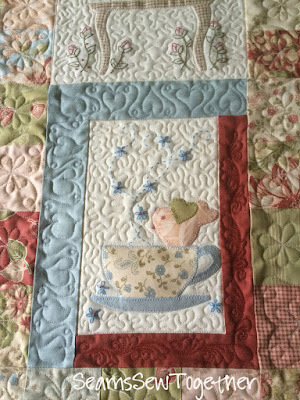 when I wasn't sewing, so I had to find a new hobby. 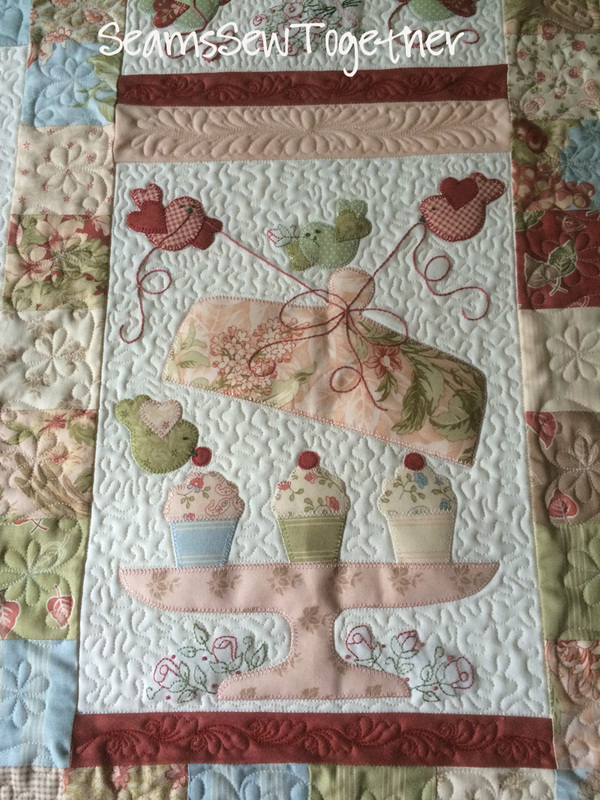 Long story short I found quilting and have never stopped. how I work, Im trying to work on one, finsih it, then start another. How does my work differ to others?. 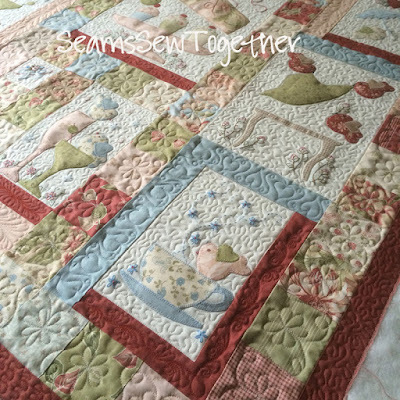 this has grown more and more, I have an APQS long arm machine and now mostly make quilts that have lots of negative space for me to fill in. cannot handle doing nothing so this why I always have something to do. lucky enough to attend Houston, that was amazing I must say. of how I'm going to quilt it before I have even made it. I'm packing my bag and heading off on Wednesday. Judi Madsen, Carla Barrett , Helen Godden, Linda Taylor, and lots, lots more, are all coming to Adelaide. I'm Looking forward to catching up with fellow bloggers and instagrammers and meeting teachers as well. all the information she has to pass on. So, who else is going?? Maybe we can catch up. Where have I been??? I really do have a good excuse, you see I changed IP providers and that was a big mistake, cause for 5 weeks they could not connect me, so three different companies later I am here.......yeah!!! Never doing that again....lesson learnt. 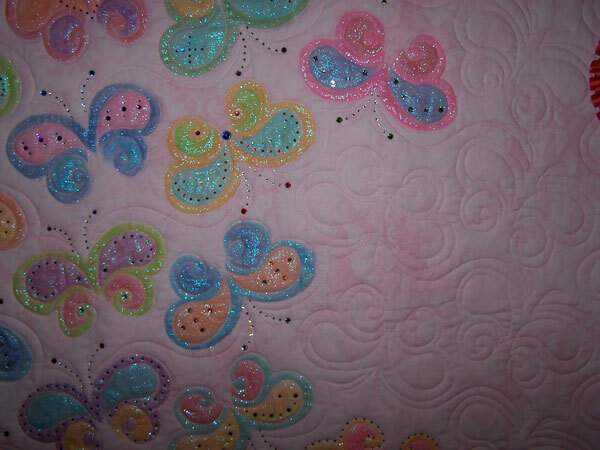 Me and My Sister fabrics called Twirl, so perfect for a little girl. 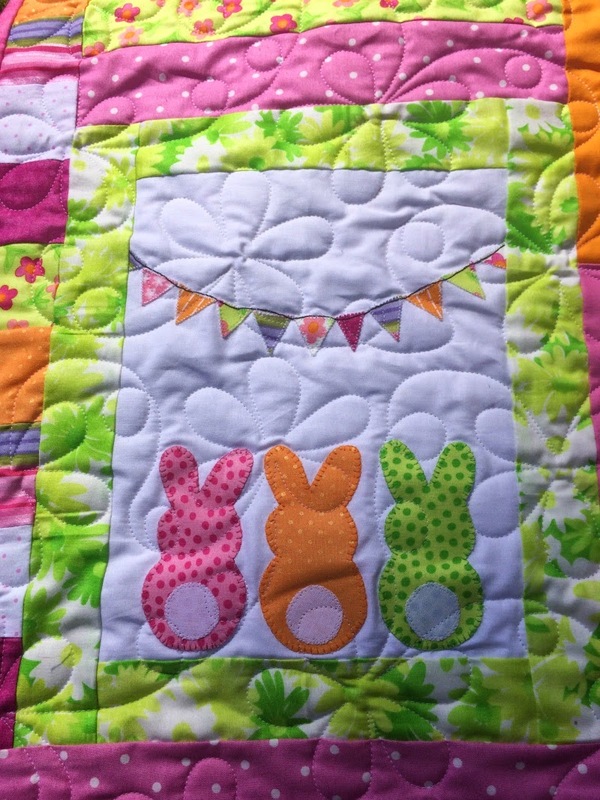 Lots of applique and bright colours has made this so cute! 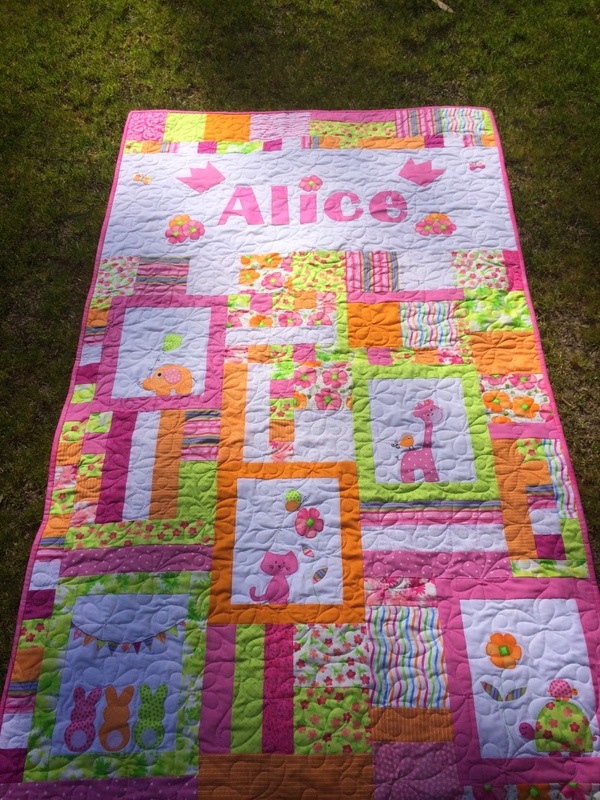 happy with the quilt and little Alice was happy too! This is a Flickr badge showing public photos and videos from seamssewtogether. Make your own badge here. 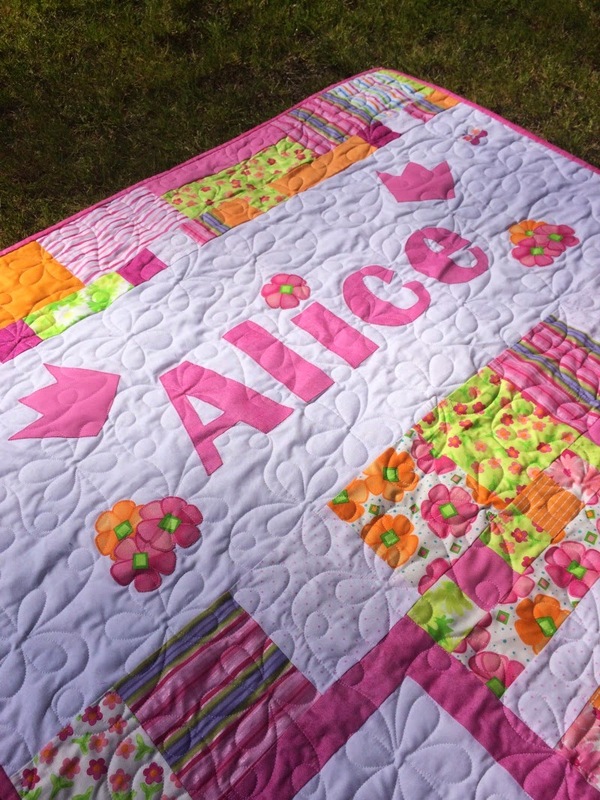 Hi I'm Mandy and I live in Australia, I am addicted to quilting, especially longarming. I am a Mother, Daughter, Wife, Nana, Co-Worker and Domestic Goddess, Life is busy but I wouldn't want it any other way.